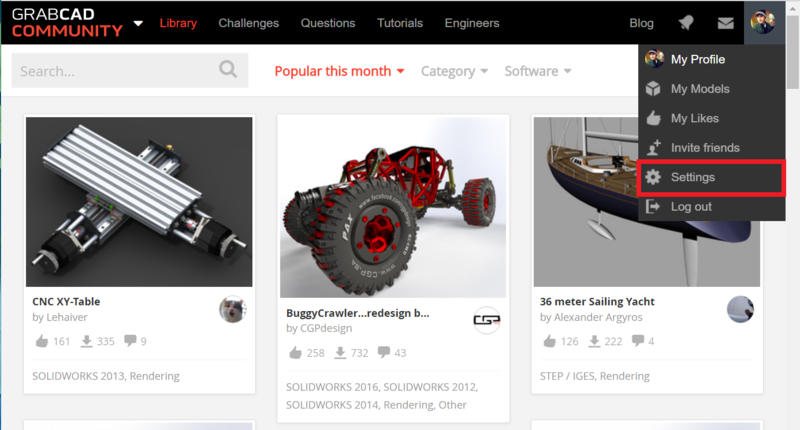 So, you've got yourself a GrabCAD Account now! But what if you want to change your name? Your email address? Your password? Your profile picture? Your notification settings? You just need to head over to your Account Settings page! Navigate to your Account Settings by hovering your mouse cursor over your avatar (the image in the top right corner), and then clicking "Settings" on the drop-down menu that appears. You'll first arrive at the main "Account Settings" tab. You can change your profile picture, your name, the email address tied to your account, your country of residence, and the time zone you live in. You can set which GrabCAD service you wish to have as your homepage when you first log in. 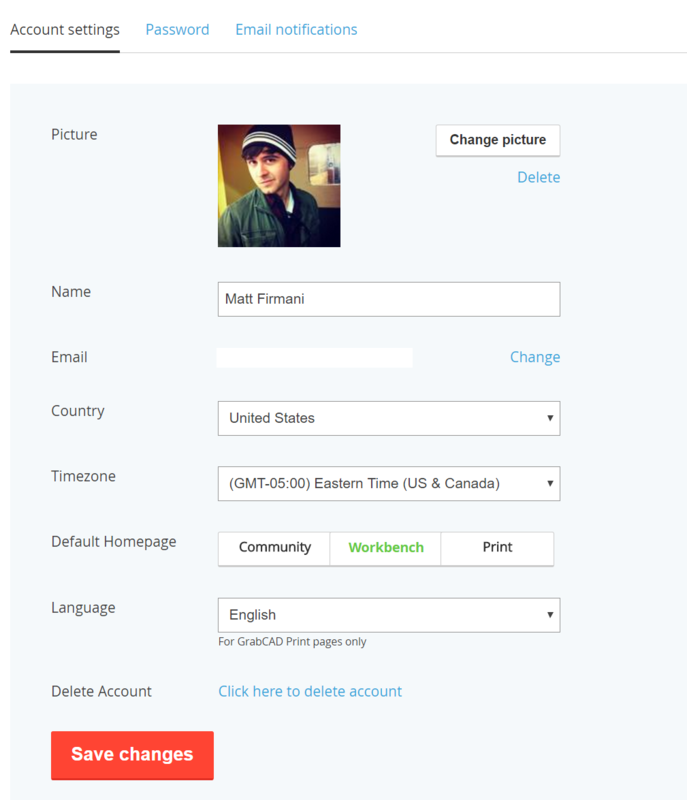 You can even delete your account here if you no longer want to be a GrabCAD member. 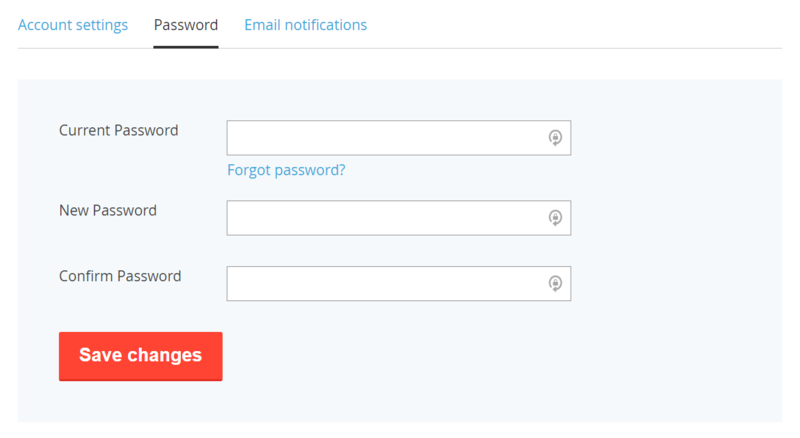 Over in the "Password" tab, you can change your password. 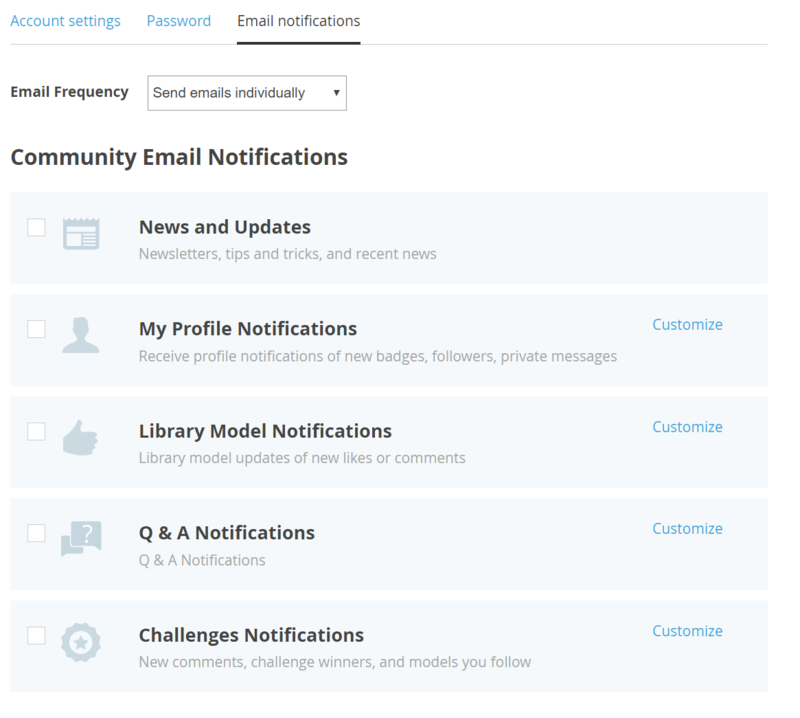 In the "Email notifications" tab, you can customize which actions we notify you about. You can turn specific types of notifications on and off, turn them all on or off, and decide how frequently you want to be notified. How do you customize your URL or name? Head over to your Account Settings to edit your 'Name,' which also controls your GrabCAD profile URL. While we think your GrabCAD profile is a great way to promote your CAD work online, some people choose to keep their profile more private. If you want to keep your profile from showing up in Google or other search engine results, you can always change your name to something other then your actual name. If you would like even more privacy, then another option is asking us to remove your profile from searchable pages in Google. Email problem-solvers@grabcad.com for help with this.